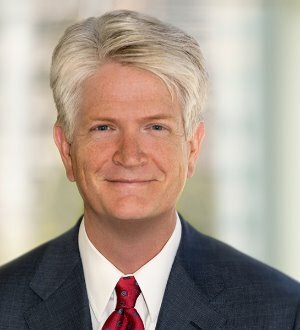 Rob Saunders heads the litigation practice of Skadden’s Wilmington office. He litigates and tries cases in federal and state courts, concentrating on matters involving the governance of business organizations and the federal securities laws. He also frequently provides transactional advice on the Delaware law of corporations, limited partnerships and limited liability companies. He is a co-author of the leading treatise in the field, Folk on the Delaware General Corporation Law. Mr. Saunders recently led the successful defense of the trustees of CommonWealth REIT against efforts by an activist hedge fund to take control of the trust, including obtaining, after a two-week trial, an award from an arbitration panel invalidating the hedge fund’s consent solicitation to remove the trustees. Mr. Saunders successfully has tried cases for a variety of other clients, including JPMorgan Chase & Co., DaimlerChrysler AG and TravelCenters of America LLC. In recent years, he also has represented HealthSouth Corporation, Oshkosh Corporation and Wilmington Trust Corporation in litigation arising out of the federal securities laws and represented such clients as Sprint Nextel Corporation, The AES Corporation, OSI Pharmaceuticals, Ness Technologies, Art Technology Group and special committees of the boards of directors of CNX Gas Corporation and TPC Group Inc. in litigation relating to mergers and acquisitions. Mr. Saunders also advises clients engaged in litigation in Delaware courts over intellectual property issues. Mr. Saunders repeatedly has been selected for inclusion in Chambers USA: America’s Leading Lawyers for Business and The Best Lawyers in America. In 2011, the Delaware Supreme Court appointed Mr. Saunders to its Board on Professional Responsibility. He also serves as a director of Delaware Hospice.